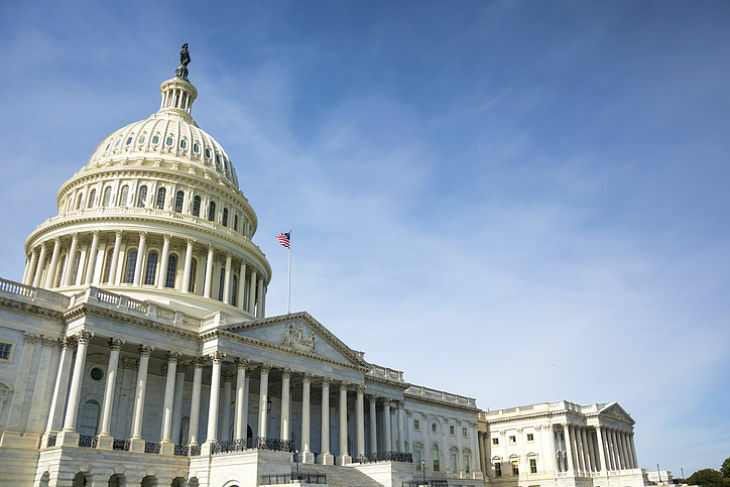 What's Contributing to Sluggish Economic Growth? You are at:Home»ETF Strategist Channel»What’s Contributing to Sluggish Economic Growth? Slow economic growth has plagued the West. Although the concern has been acute since the Great Financial Crisis (GFC), worries about slowing growth predated that event. Perhaps the most important factor contributing to sluggish growth has been tepid productivity growth. This chart shows the five-year change in productivity; we use this longer term rate of change to more clearly show the trend in productivity growth. 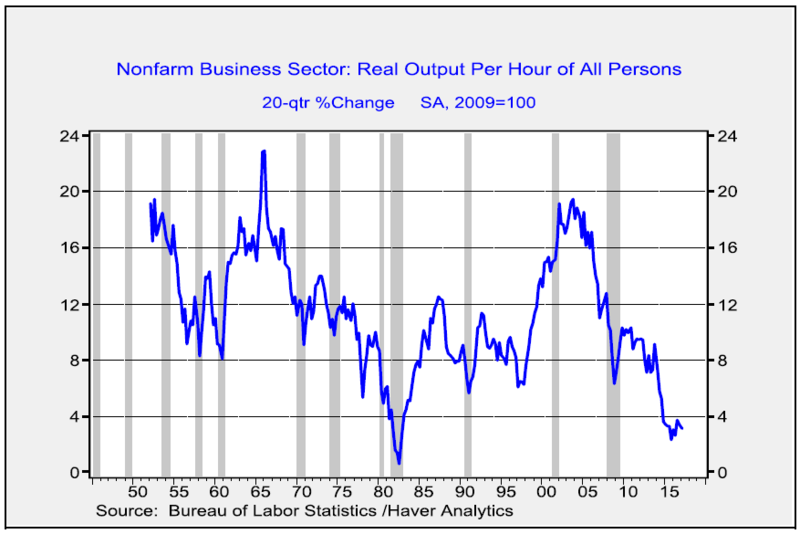 As the chart indicates, productivity growth is remarkably weak; in fact, in the postwar era, only the weakness seen in the depths of the 1981-82 recession recorded lower productivity growth by this measure. Economic theory holds that production comes from the combination of land, labor, capital and entrepreneurship. Most models focus on capital and labor. The Cobb-Douglas production function1 is a canonical expression of how economists think about forecasting output. Productivity is something of the holy grail of economics. Theories of what boosts productivity abound; deregulation and competition are thought to increase it, supporting entrepreneurship with low taxes could be a factor, education and immigration could support increases and, of course, technological progress is a necessary ingredient. However, no economist has yet been able to definitively say what causes productivity to universally rise under all conditions. However, we can say that an economy with weak productivity growth will struggle. Capital and labor essentially divide total output and low productivity makes that division difficult. On the other hand, rising productivity can allow both capital and labor to enjoy a rising absolute share of output. Social peace is much easier to achieve with rising productivity. It is probably no accident that the rise of populism in the West has coincided with weak productivity growth. From the mid-1970s into the GFC, the relationship between corporate profits and the five-year growth rate of productivity was fairly consistent. 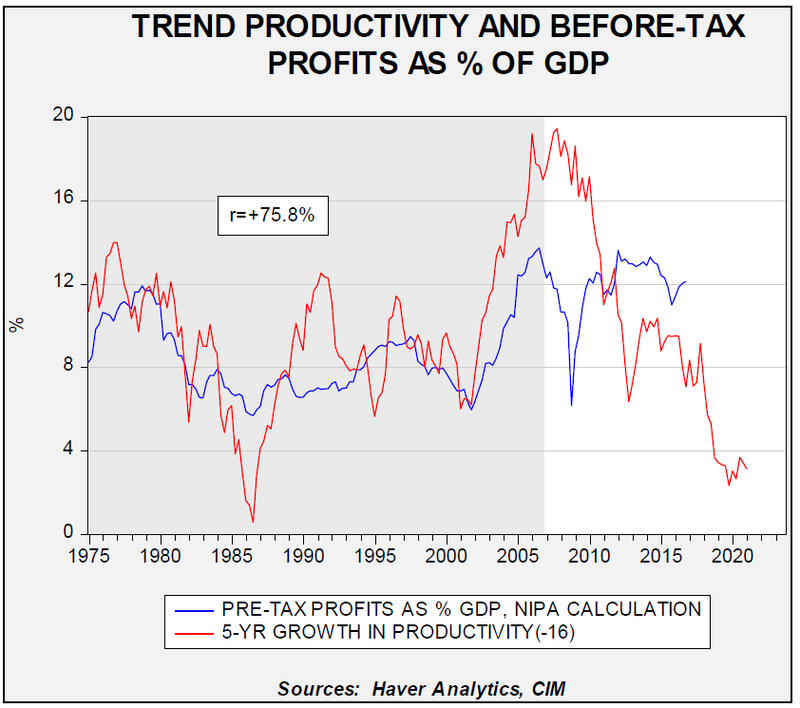 This chart shows pre-tax corporate profits, on a national income product accounts basis, as a percentage of GDP along with the five-year growth rate of productivity.